Apache is a freely available Web Server that is distributed under an "open source" license. The current version of Apache is 2.2. More details can found at Apache Website. Now, we will move to next part to know how to install this service on Ubuntu Linux. You should see a folder entitled apache2-default/. Then, you click on that link, you will see a message saying "It works!". That means you have installed Apache 2.2 successfully. If it is not the case, you should go to Step 4 to start up Apache service. After that, you can do Step 3 again to make sure if your Apache is running! That is the truth. Skype brings happiness to Linux users. After a long time, Skype finally has offered a new feature - video conference - for Linux users. A beta version of Skype 2.0 is available for downloading. Ubuntu Linux users can download a Debian package here . This package is used to install on Ubuntu Feisty but I have installed and tested successfully in Ubuntu Gutsy. 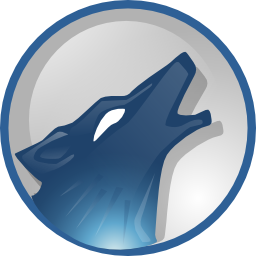 Packages for other Linux distributions can be found here to download. Now is the time to evaluate about it's quality. 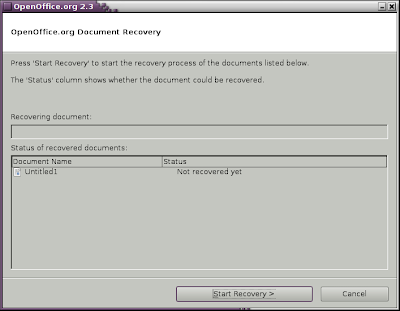 Is Your OpenOffice.org 2.3 crashing in Ubuntu Gutsy? As you know, OpenOffice.org is a multiplatform and multilingual office suite. It is a free office suite in Ubuntu 7.10 with several improved features. Last month, I had to show you more than 80 free tutorials for creating and using documents, databases, spreadsheets, and presentations in OpenOffice.org. Today, I would like to tell with you what I have done to fix a bug in this office suite. Now let's go! The problem have been solved after I removed these packages. Double click on "BBC News" to add this stream to the playing list. 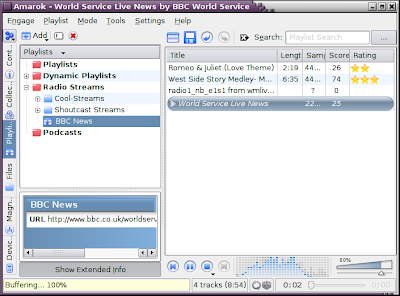 Now we can hear "BBC Live News" streaming. You can enjoy with this list. 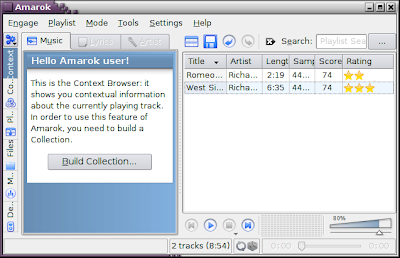 You can also use Amarok to manage your podcasts. To add a new podcast to Playlists, just right click on the Podcasts folder or the Add button, and select Podcast. Then, you enter the podcast that you like. From version 1.4, "Score" and "Rating" features are separated in Amarok. Score is calculated by amaroK, changes dynamically, while Rating is user-defined, and shown as gold stars. Now we will see how to play around with this feature. At the default, you can't see the "Rating" function in the playing list. To show this feature in Amarok you go to Settings > Configure Amarok ... > General, then stick the field "Use Rating" and click "Apply" and "OK" button to agree your changes. Now, you can see a new column at the right side. It will allow you to rate your songs by clicking to show gold starts as the following picture.